"Spring ski" available - Weekends of 3/9, 3/23 and 3/30. How about a vacation to talk about for years? Smuggler's Notch is a kid's Wonderland. The SKI Magazine reader survey for Winter 2018/2019 voted Smugglers' one of the top resorts for Kid-Friendly Activities in the Eastern U.S. and Canada and the #1 Resort in the Eastern U.S.! - ~150 yards, from the lifts and you can ski home. This is a lodging only rental. 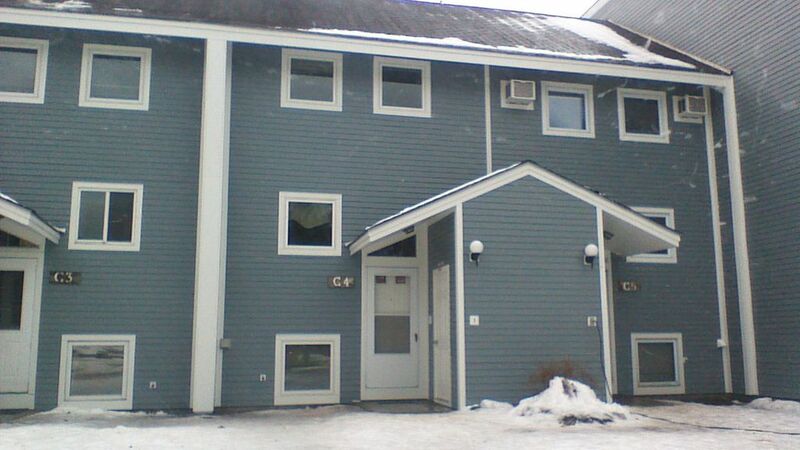 Please contact Smuggs directly if you would like access to pools, hot tubs, child care, ski school, FunZone 2.0, etc. The average annual snowfall is more than 26 feet - Mother Nature loves to dump snow on Smuggs! Smugglers' Notch is a four season family vacation destination in the heart of northern Vermont. It was originally the dream of IBM President Tom Watson Jr. to create a replica of Zermatt, Switzerland in northern Vermont with the model of a self contained ski village built at the bottom of several mountains for skiing opportunities. Smuggs has evolved into the #1 family resort (SKI magazine 15 years in a row) in the country with excellent children's programs, amenities, and activities. With 78 trails, 8 lifts, and over 65% snow making coverage, Smuggler's skiing is perfect for whatever you seek. With over 1000 acres of skiing terrain, there is something for everyone. For the novice, Morse Mountain is the ultimate learning mountain especially catering to children. The upper mountain offers a variety of challenging skiing cruisers, 22 glade runs, three top level snowboard parks, and some of the most challenging terrain for the experienced skier with the fourth highest vertical drop (2610) in New England . There are five black diamond trails and the Black Hole, the only triple black diamond in the East. There are also 58 km of cross country/snowshoe trails. This spacious accommodation is spread over three levels. WiFi streams throughout so you can stay connected to the office and family. It is available from the resort for a fee. (This year, we have subscribed to a service for our guests which would provide wifi for free with unlimited devices. For this year, it is beta. We are paying for the service, but not sure if there are issues, so it is not guaranteed with the rental - you can still buy through Smuggs. It is our attempt to provide unlimited devices for you, rather that the Smuggs limited devises and we will provide passwords. Smart TV should also be available. The main level features the living area, dining area, and kitchen where you'll find ample living space for your group as well as sliding glass doors to a deck where you can see the Resort in action. The kitchen is fully equipped so stay in and cook for the family if you choose, or, enjoy the many onsite or close by dining options- either way it's all about convenience and comfort. The front entrance is newly renovated. KITCHEN- Refrigerator, microwave, dishwasher, electric stove, toaster oven, coffee maker, blender. DINING AREA- Dining table with 9 chairs. Smuggs new Zipline Canopy Tour is really fun! It's open year round! Following a mountain brook from high above Smugglers' Notch Resort Village, the 2 1/2 to 3-hour Zipline Canopy Tour descends through mature stands of hemlock, white birch, and sugar maple. You'll soar down more than 4,000 feet of ziplines, cross suspension bridges, and rappel from trees. There are no resort amenities included in the rental. It is "lodging only". Many, including lift tickets and access to resort facilities may be purchased through the resort. Access is through the resort if available. We generally do not rent in the summer. If you are interested, it would be "lodging only". This seems to work very well for weddings as there are several local wedding facilities including "the Barn" and "the Boyden Winery". If you are interested in renting through us and purchasing other amenities, Smuggler's has recently (2017) changed their policy on access to camp, water parks, etc.. https://rs.smuggs.info/shop-smuggs/#/ski/liftTickets/Location999|999602190/2017-07-10/ You may be able to purchase online, access to these amenities. This townhouse was purchased by two brothers who shared a love of skiing with friends and family over 30 years ago. The Village Resort changed to a family oriented theme about the same time as their families grew. Now, we and our four grown children, who learned to ski and grew up in the resort, use it periodically and we rent it to pay the taxes and village fees. We maintain it in a condition where we are happy to stay and bring our friends to a Vermont location. We offer a great value and the best feature is proximity to the village center allowing "walk to everything". New kitchen in 2015 that our neighbors are modeling for their renovation. New increased sleeping with full over full bunk in 2018. Renovated upper bath and main room carpet in 2018. Most importantly, the location is the best in the Village for access to everything. You could park your car and never touch it until you depart. electric by room plus gas stove which provides most heat. Includes Fridge (with ice maker), Stove, dishwasher, and microwave over stove. Adjacent Zip Line attraction. Lots of entertainment. Park your car and walk to dinner, other entertainment. This does not include access to special activities and events held at Smuggler's Notch by the Smuggler's Notch Resort that are subject to separate costs such as Tubing, Arts and Crafts, Snowmobile Tours, Lift Tickets, FunZone, etc..
We are sure you will enjoy your stay and we are committed to doing everything we can to make sure your rental is wonderful. Our rates are considerably below booking through the resort. We'd like you to join a select group of vacationers who love the resort, our unit, and our value and return to stay with us again. We can discuss weekend and longer rentals.